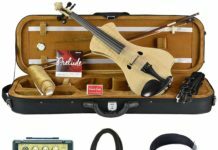 In order to have a great sounding violin you need more than just the violin itself, you also need a high-quality bow. 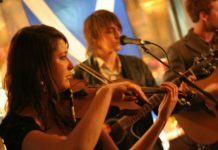 Just like buying a violin, there are numerous options out there for bows with different styles and specs. It all comes down to what fits your needs and personal preferences. A good combination of both will leave you with the perfect bow. 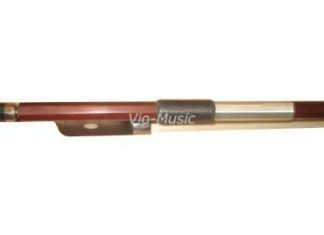 Below are a few of the main things to look for when buying a violin bow. One of the main things to look for is the weight and feel of a bow. Testing each bow for the weight and feel of the bow by playing it on your violin will give you a sense of the balance of the bow and whether you would be able to play with this bow continuously during performances. 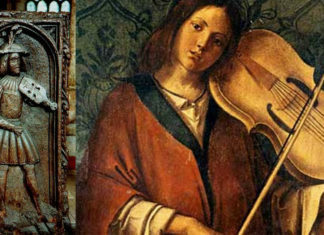 Every violinist has different preferences for bows; some prefer heavy bows which remain steady on the string while others prefer a light bow for easy maneuverability. Some like the tip to carry a bit of weight while others like the bow as close to balanced as possible. You want to make sure that the weight, feel, and balance of the bow is a perfect fit for you. The violin is a stringed instrument that has been around for centuries so it is no surprise that most violin bows are made from wood. Wood, typically Brazilian wood such as Pernambuco, is the material from which most bows are made. Over the last few decades new, synthetic bow materials have come onto the market, including both fiberglass and carbon fiber violin bows. Both wood and synthetic materials have their benefits and drawbacks. These new synthetic options are usually much more cost-effective, lighter, and more durable. As I mentioned previously, this is subjective to each player. Some players may like the lighter feel of synthetics while others stick to wood. I would like to mention though that if durability is important to you, say you are purchasing a bow for a child who is learning to play or you just know you are rougher with your stuff, the newer synthetic materials tend to stand up to abuse far better then their wood counterparts. Carbon fiber bows in particular are for the most part indestructible. Something to take into consideration as well. Round bows tend to produce a warmer tone. Being more flexible and soft, the sound is often less harsh and quieter. Octagonal bows tend to be stiffer which allows for a better attack. These bows also tend to produce cleaner tones at the higher end of the violin sound range. They also often have more treble and upper midrange as opposed to round bows which often have rich low ends. These are just some starting points so that you have an idea of what to listen for when trying out different bows. The frog is the end that your hand grips. Ebony is often used for the frog, though other materials like plastic can be used. A lot of times, the frog is used for the placement of pearl inlay and other aesthetics. You should avoid focusing too much on how “pretty” the frog looks and focus more on whether it feels comfortable. Another place your hand rests is on the winding or thumb grip located along the stick. There tons of options when it comes to material choice here, and many materials are designed to look good as well as be practical. Again, like the frog you want to pick off feel rather then look/design. Materials often available include leather, copper, or silver. Just like violins, bows sell for a range of prices, but generally, a more expensive bow is higher quality. A general rule is that you should spend about 20 to 25% of what your violin is worth on the bow. Although this might not be the case for you (for example my bow costs more than my violin), you’ll at least have a better idea of what you’re looking for when you want into a violin shop. You should have a good idea about your budget for a violin bow before walking into the shop that you don’t spend too much. 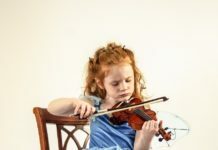 There are great bows at any price range so you should try a bunch of different violin bows before deciding on the one that’s best for you. As with many stores that sell handmade goods, bow prices are often negotiable so you shouldn’t settle for the first price. Another good check list is to go through your various scales slowly while really taking a listen to the tone. While playing through your pieces can give a great sense what feels right, slowly playing scales while intently listening can make sure you pick a bow that sounds great as well. The bow plays a major role in the tone of your violin so make sure it sounds good to your ears. Clearly what matters most when choosing the perfect bow for you, is personal preference. The bow needs to sounds good, feel good, and priced good all for YOU. Most of these tests are subjective once a price point is reached, so use your ears and body to determine the best option. 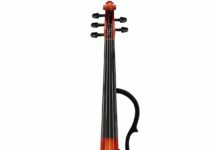 If you are looking for violin bows to buy, check out our guide to the best violin bows.